A final deal on research and development is likely to be signed this year, according to Sukhoi. The contract to develop a sketch and technical project of the Russian-Indian perspective multi-functional 5th-generation fighter (PMI/FGFA) has been completed, Sukhoi said in a press-release. The fighter design has been fully developed. “Both parties have agreed upon on the amount and division of work during the research and development (R&D) stage, the Russian aviation company said. 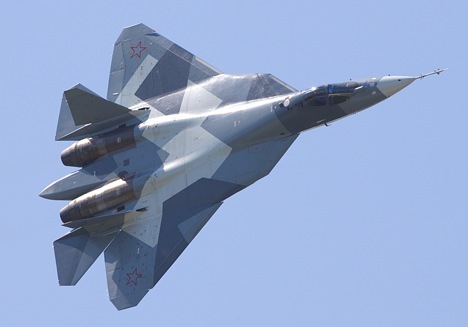 A contract for the R&D is being prepared and will be signed this year, according to Sukhoi. The agreement on the joint development and production of the 5th generation fighter aircraft (FGFA) was signed in October 2007 in Moscow at the 7th Session of the joint Russian-Indian Intergovernmental Commission on Military and Technical Cooperation. It is the largest joint Russian-Indian military and technical cooperation project. In December 2010, Rosoboronexport, Sukhoi Company and the Hindustan Aeronautics Limited signed a contract to develop a sketch and technical project of the fighter. In the course of the first stage of the project the Russian side has trained Indian professionals, provided them with the original data and the software to create a single working environment. The Indian working group of experts has been working in Russia since January 2012 and a group of Russian specialists - in India. The PMI/FGFA fighter developed by the parties will have some differences from the Russian prototype due to specific requirements of the Indian Air Force. Sukhoi is also currently involved in other Russian-Indian joint programmes, such as the modernisation of the Indian Air Force Su-30MKI fighters and adaptation of the Russian-Indian air-to-ground BrahMos cruise missile to the Su-30MKI. India is currently the top importer of Russian military equipment, accounting for about 28 percent of Russian arms exports. Despite, delays and steep cost escalation of military equipment, Russia remains India’s largest supplier of arms, supplying 70 percent of country’s arms imports. India plans to spend about $100 billion over the next 10 years to modernize its Soviet-era weaponry. The Indian Air Force has been flying Sukhois from 1997 onwards when New Delhi first procured its first off-the-shelf SU-30s from Russia and gradually developed Sukhoi Su-30MKIs at home after Hindustan Aeronautics Limited began production under license from the Sukhoi Design Bureau.